Michael: Welcome back to the show. 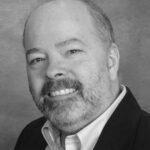 I'm here with Charlie Arehart, veteran ColdFusion expert and he helps optimize ColdFusion service that are sick or slow. And he also does an enormous amount for the community on his website and on the CF411 website. 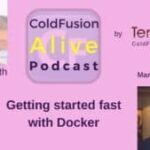 And one of the things I've noticed him doing over the years is telling us about all the cool new stuff in different versions of ColdFusion. And what we're going to talk about today and he's actually giving a talk on the C.F. objective on this is what's new in C.F. 10, 11 and 2016 that you may have missed. And we're going to talk about why you might even care about that because some of you listening maybe thinking; C.F. 10, you’re kidding? But we'll address that and we'll look at some of the cool features you may have missed out on that came out in those. And we'll also look at some compatibility issues you might want to be aware of. And also how Adobe changed the licensing between versions that some of you may have missed. So, we’ll have lots of resources if you want to more about. So, welcome Charlie. Charlie: Howdy sir! Long time no talk. Michael: Yes, must have been last week. Yes but you know, you've got such useful info and you’re giving two talks at the C.F. objective. I think I figured you deserve to have two podcast episodes. And so, let's just get the elephant in the room out of the way. You know C.F. 10 it came out years ago. I mean you were telling me before we started recording it was five years. Michael: Feels like more like eight or ten to me. Charlie: Right someone might think it was much longer. It’s only five years ago. And so, the whole reason that I'm doing this talk is that in the course of the troubleshooting that I do with people sometimes, they're coming to me saying hey, we've just implemented C.F. 2016 or hey, we just implemented C.F. 11. And I go cool, that should be pretty straightforward you know to go from eleven 2016 or 10 to 11. And then they’ll go, we were coming from C.F. 9. We’re coming from C.F. 8 and you may be surprised how often true. But it is really very, very often that people are making that big of a jump. And so, I will frequently help people with the problems that can happen between 9 and earlier and 10 and greater. And we’ll talk a bit about that. But that's why I'm doing the talk back to what was new. So, the title is what's new in 10, 11 or 2016 that you may have missed. And somebody’s giving me beef you know about saying how can say, what's new about 10? But my reply was well, what is a contraction? So, it's what is new in 2016 and what was new in 11 and 10. So, they're new to some people, that’s the bottom line. There may not be new to you but they're new to some people. And let me say this too because I'm sure some of your audience are in this camp. And I know Michael you've seen this over the years. We've all seen it. People might be on let's say 10 now and move to 2016 or they might be on 11 now and are planning to move 2016 or they're on 10 and they're moving to 11. And so, they're already quote on 10. But if we asked him hey, what was new in 10? They’ll go, I don't know. Hey, I'm just doing my job. I'm just keeping the app running. I mean we didn't change anything when we ran on 10. Like you know they might have jumped from 8 to 10 at that point; skipped 9. And they have no idea what was new in 9 and you know that just translates into people over the years frequently who have been on whatever release in the past. And they have no idea what's new in that release and we talked a bit about this last week. And that you know, in my experience it's that people are heads down doing their job and when a new release comes out, I'd say the majority of people. They're not even going to pay attention to it because they're trying to do their job. They're trying to keep what they've got running. They may be adding new capabilities based on functionality requirements. You know business requirements but they're not necessarily jumping at some new feature. So, they'll often miss out on what was new because they're just not paying attention when that release came out. So let's just you know, put numbers to think. So, C.F. 2016 obviously came out last year and they chose to use that nomenclature. So that there's no more confusion like this I think. 11 that came out in 2014 and 10 had come out in 2012. Well, if you were working on 9 when 10 came out or 8. Or if you were working on 10 when 11 came out in 2014, you weren't paying attention when in 2014, Adobe was doing many presentations. And people like me were doing presentations at conferences and people writing blog posts and sharing their experience. You know, lots of people in the community share their pros and cons. There are certain folks in the community that do like to dive into the new stuff and want to share their experience. My point is that people would often just not be paying attention. They're just doing their job. They're not worried about what's new in the current version because they're on the older version. Charlie: So, this is all about trying to level people up and saying whatever you've come from and even if you're not yet on 2016. If you're on 11, then you'll learn in this talk about what was new in 11 and what was new in 10 that you might have missed. And you'll see what's new in 2016 that might motivate you to go to the next release. And that's often a part of why I do these things is to kind of restate for people what were the features. Because sometimes, it's lost in all the different resources that are out there. And they are sometimes on that older version and somebody in the organization is kind of hesitant to move to the new one. And if I can give them more ammunition to understand what is in the new one or what the pros and cons are, what the challenges might be. And they might be more either motivated to move up or they'll be able to use that as ammunition to get whoever sold them back to allow them to move up. So yeah, I believe that there's plenty of value for everybody really to review this information wherever you stand in your experience with them. Michael: Yeah because you know most of the new features in C.F. 10 are still in C.F. 2016; if not all of them. Michael: So you know, yeah so new features in C.F. 10, new features and C.F. 11 and the new features in 2016 may all be useful things that you could use in your apps today. Charlie: Absolutely, that's exactly why we're doing it. So, now you get it. Michael: And just for the folks who are wondering why they should even bother to upgrade. You know, a few months ago C.F. 10 went end of life which means there's no new 06:59 [hot] fixes. So any security holes get found in that now are not going to be whole fixed and you want to be wide open. And that's been true for C.F. 9 for over a year now I think. Charlie: My wife and 07:38 [inaudible] into the room. She's not used to be me being on video so, she didn't realize coming into the room. She was on video briefly. So, there she was. I was trying to like wave her off saying no, no, no, no. But she just doesn't get it because I'm usually only on audio. That we're about wandering and so was sweet brief moment some people have seen her at conferences, Kim. That’s my wife. Charlie: You made a good point is that some people will need to get moving to more modern releases because it's always not updating 10 or 9 anymore. So that's definitely another important reason for sure. Charlie: And so, in the course of this presentation I'm going to go through each of the releases: 10, 11 or 2016. I'm going to talk about what the major features were. The ones that Adobe tends to promote and then maybe some that maybe they didn't see even notice them promoting. But you know, I think are worthy of considering major. And then, I'll talk about key minor features. And of course, that's just an arbitrary distinction major versus minor. I’m just having to choose so I don't have a screen full of stuff. And then, I'm going to talk about administrator features because some people don't do development and they don't care about language oriented features. They just care about how it's going to affect their job as an administrator. Or you have both roles and you know, people tend to focus on the language features and the product capability features. But as an administrator, there's often things that are very important that you understand. So, we'll talk about those administrator features. And of course very important especially since 10 and above is security feature. So for each release I'll talk about key security features that are different in that particular release and some of you know the 10 in particular. Adobe tried to make several improvements related to security and they've done more with 11 and more with 2016. Michael: And then, 09:38 [crosstalk] to Adobe for doing that. Charlie: Amen, absolutely because they get a lot of grief from people for not having taken such good care and some of it's about making it just easier for you to be in a more secure environment. We’ll talk about that you know. And let me back up and say I don't know how much you really want to go over everything. I don't think we have time you know in this podcast interview to go over everything. So, I’m going to leave some things out. But just drawings the big picture that was a big feature of 10 and now talk about that is that one of the major features. But then, I'll focus on it and also in each release whatever other security specific things because many people now realize how important it is for us to stay up on security. And then you mentioned previously how I've done talks on hidden gems. So yeah, on every release, I would do a talk within that year of it coming out of hidden gems because Adobe and other people would tend to focus on the major new features. But I would read the tech notes, the release notes, the documentation or scour other people's blog posts. And I find all kinds of hidden cool little things that people weren't knowing about. And again, those may be the things that make you go that's the reason I want to have to I don't need those other major features. We'll never use them but boy, that one little thing that's like nobody's talking about, that's the thing I've been waiting for. And then I’ll also, point out how in each release when you do those updates and one of the features of 10 is an automated update mechanism. And in those updates sometimes, Adobe slips in a new feature once in a while. So I’ll talk about key changes for updates. And then as you mention I'll talk about licensing changes in each release and there are some variations in them. And let me just say about other that because some people didn't know this. It was introduced to 9. But back in 9, Adobe changed the licensing agreement a very positive way that many people never noticed because they don’t read it and somebody else buys it. You don't need to buy a license of ColdFusion to serve as a testing server. Now, you might say oh, you mean the developer edition. No, I'm not talking about the developer edition. Developer editions been free you know from since if 6 or 5 I think. But in the time of the developer edition I'm talking about you are licensed according to the end users like an agreement to take your license key for your production license and put it on any other server you want to use for testing and or centralized development staging. So yeah, you can do that and that's not new in 10, 11, 2016. That was introduced in 9. But I will throw out that in 10, 11 and 2016 there have been some modifications to the wording. So as little free it online and then in subsequent ones, it's been more like, I believe the current thing is like if you're on standard. If you've bought two standard licenses, you can take one of them. So, let me just say I'm not going to get into the details now but you should read the end user licensing agreement. The EULA E.U.L.A.'s. If you just Google ColdFusion EULA put in whatever version you want and you'll get that EULA. It’s a P.D.F. Usually, it's about 10, 11 pages of significant stuff. And usually, there's only a couple of key pages that address this issue or V.M. issue or cores issues, cloud deployment issues as well are all covered and all highlight them. But again, we could do a whole presentation just on the licensing changes from one release to the next and go into various scenarios one at a time obviously. But I'll be covering that and then I'll wrap up with another. Michael: And I just want to say on The End User Licensing. You know, I'm still waiting to know exactly how you do the licensing on 13:20 [inaudible] containers with ColdFusion. That's been an issue for over a year now and hasn't been addressed. So, if anyone from Adobe's listening hey guys you know, it's 2017 [inaudible] is here. It's time to get the licensing clarified. Charlie: Yeah so, that I don't recall there being a specific reference to containers as a generic term and the EULA. But I will say I don’t know if I’ve looked at it specifically for that recently. So you know, I look at all these and sometimes they blur together. But that's what somebody would want to do is look for the first container and if it's not in there then yeah, press Adobe to get that in there. And that's why I was about to say that the last point I would make about each of the releases would be compatibility issues. And some gotchas that I or other people have tripped over so that you can be aware because that's sometimes a big showstopper in moving to a new releases. Everybody makes it sound like ah there's all these great new features and then you run into this one thing that oh crap, that doesn't work for us. Now, I will say that often it's a pretty small thing. I mean it might affect every page in your application but it might be something that you can fix in one you know, 14:33 [inaudible]. Either a configuration issue or maybe something in your application C.F.M. or C.F.C. So, even though it may seem like your site is dead and can't run on the new version, it's pretty unusual for it to be that significant. No, there are some other things here and there with different features. And again, that's what I'll cover in the talk about 10 and 11 and 2016. Charlie: And I want to learn more because obviously I won't have time to cover all the stuff and I’ll point at the end of each section what you can learn about that release and where. Michael: Yeah, I'll link into the show notes. You know, you've written some really great articles on your blog about new features and hidden gems in all these versions. Charlie: Up and I've got all the presentations I've done in the past on Hidden Gems. They're all there on the website. And then, when this one's done so, Thursday I believe or yeah, Thursday or Friday. The schedule is changing just a little bit because of some issues. But anyway so, either Thursday or Friday when I give it, I’ll post the presentation. So those who are not attending, you'll be able to go get the P.D.F. with everything on it including the resources, yeah. Michael: That's great, that’s really generous of you to do that and you've got must be hundreds of presentations on your site now. Charlie: And articles, blog posts. Michael: Hundred; I am looking at your presentations page and looks like you’ve got 124 presentations you've done which is incredible. Charlie: Hey, scroll down there look at the bottom of the list. You might recognize something. Michael: 16:09 [inaudible] Marilyn ColdFusion. Yeah I didn't recognize that. Charlie: A couple years before you took ownership. I forgot now the name of the guy who ran it back. There was 1997. Charlie: And I think… what does it say there. I’m not on the page. Was it 98? Michael: This is ninety eight yeah. Charlie: I think you took it over and probably ninety nine. Michael: Yeah, I think so. Yeah, ninety nine sounds about right. 16:40 [inaudible] on the guy's name. Charlie: Yeah, yeah so that's… And you'll see that among the earliest presentations I was doing earlier. So articles I was doing was in gems and ColdFusion 411. So you know all this is. Michael: Yes, you've been doing this stuff for years and it's some really cool stuff. I am kind of blown away. It's like there’s so much value in those articles and prestos. Charlie: And we were talking last week in our other interview about the other presentation I'm doing about you know, just as a side issue that people ought to not dismiss old resources like that. Even if they're ten, fifteen years old. You might find that what they talk about is just as valuable today. I mean sometimes again people are so busy doing what they do that they miss out on something that was new in a release that they were working with fifteen years ago. And they didn't pay attention to what was new then. And all these years later, they didn't even know that feature was there because it was some little hidden gem. So yeah, check that out. Michael: Yeah, I think it's important to do this. I'm going to put the… There’s a product Matrix on Adobe site that tells you all the end of life of cold fusion and all the other Adobe products. And I think it's important to pay attention to that because if you're running C.F. 11, there is an end of life coming up. I think next year if I remember right. Now I want to go check. Michael: You want to be upgraded and let me talk about right well before that yeah sure. Charlie: The pattern has been that it used to be that they kept the two previous releases open. So you know, when 10 came out, 9 and 8 were still supported. I think there was some time where they switched then from two to the last one. So now, we're down to… Well and right and then for a period of time that's what it is. So it was that when a given release came out right then, that one, two releases ago. Like an eleven later say ten. And 10 came out, 8 would no longer be supported. And then they started changing it a little bit in a very relative positive way where they kept the support going into the end of the year. Michael: Well, has to be said the upgrade to from 10 to 11 was not handled in the best possible way perhaps. Michael: I think remember people held off on upgrading it. Maybe I'm confused on the version but. Charlie: Well, I would say 9 to 10 and this is something I'll talk about in the presentation. So with regard to 9 to 10, one of the big I mean that was the one where Tomcat you know, ColdFusion was changed running on J. run as it had for six, seven, eight, nine. It was changed from Tomcat in ten. And well on the surface that should be something that's transparent to us. The fact was it changed a lot of stuff and one of the key things that changed was the web server configuration. For those who've got to set things up. You know, how you connect I.I.S. for apache or engine X. to ColdFusion; that's the web server connector. And there was a big change in the connector between nine and earlier and ten and above and that connector caused a lot of grief. First, just getting it properly configured when you had nine in earlier on a box with ten or later and that can still happen to you today. And then second, there was this notion of tuning the connector which was introduced to 10 and it was a well understood at first. And so, Adobe came out with blog posts in 2012 and 2014 talking about this need of tuning the connector. And those blog posts are there big. I don't think they are clear as they can be. And you'll see there's hundreds of comments on them as people wrangled with this issue. So, I think that's perhaps what you're thinking of as yeah, the jump between nine and ten caused a lot of consternation. And the good news is that a lot of it has settled down. 11 made significant improvements in aspects of the connector. 2016 is made even more and I'll talk about that. How there are some very important kind of automated and official changes to the connector in 2016. And that's one of those things where I'll admit that sometimes people do hear news like what you shared and they are of the opinion that oh, it's just going to be painful. And then, that maybe true with respect to ten and then they don't realize that 2016; Adobe specifically addressed that and made things better and made it more easy to configure and better suited out of the box to most people's configurations. But if you don't hear that you know, they're not going talk about that being a major new feature. It's one of the hidden gems but it's what would make moving to 2016 all the more compelling. And it would supersede this painful memory you know that might be holding people back thinking I don't want to go to ten or eleven as an example; just throwing that out. Michael: That's a great point Charlie. The other thing that because to me is you know, the J V M gets changed underneath between some of these versions so. Charlie: Yeah, but I'll talk about that in the section on because it's generally on the update. So when a given release comes out, it'll support whatever the latest J.V. is at time. So, when 10 came out, it was running on a variant of Java one six at the time. And then when eleven came out it was running originally on a one seven. And then when 2016 came out it was running on a Java one eight. And as some of you know by way of updates, they eventually do let you move to the next release of the J V M. So, during the C.F. 10 timeframe, I think it was Update fourteen I can't remember; added the ability for you to move from one six to one seven. I may be remembering that incorrectly but I know with eleven, it originally was on one seven and then they came out with an update that allowed you go to one eight. And now, twenty sixteen just comes out on one eight out of the box and nine is about Java nine. And I've heard they're going to start calling it one this. So, it's not going to Java one nine. It's going to be a nine and of course some people already call Java one eight Java eight and Java one seven. But apparently, the nomenclature is going to change. But you're right, there are changes over time with regard to what update of the J.V. 23:38 [inaudible] is supported. And just throw this out because I had a conversation with a client today about it. Adobe has been telling us since C.F. seven I could find you a tech note from C.F. seven timeframe. Back when the daylight savings time change happened which I think was like 2003, 2002. They came out with a. Tech note where they said you can now go to the latest point release of whatever J.V. and we support. So back then, they were like one four and it was allowing you to go to any one four that at the time sun came out with and that's been true ever since. So, if somebody is running on say C. F. 10 they could absolutely be on the latest Java one seven. So I do believe it was ten came out with one seven. It was probably their early one. But they couldn't go to one eight unless Adobe specifically supported it. I don't think they did for us in ten for Java one eight. I may be wrong because it just all does fade away. But I've got various points about it in the presentation and there are always blog posts. And in fact, I'll just say that anybody is really interested in that particular issue just Google ColdFusion java versions. And one of the first results you’re going to find is a couple of blog posts that Adobe did and they specifically went through at the time they wrote that blog post. And said here's for nine what you can do, here is for ten what you can do and eleven what you can do. And I don't think they've updated it for twenty sixteen yet. But so they have addressed it. So it's a good point and it is something that sometimes trips people up and I'll mention it in passing. It wasn't something I had to tap my head to remember exactly. Michael: What about the update has a new features come out in those or are they just security? Charlie: Absolutely and it's on all kinds of levels. I mean obviously there's bug fixes. And let me just tell you because some people don't appreciate this. If you were to look at the recent fixes for 2016, C.F. 11, even C.F. 10. And in the presentation I'll give you links to the pages where you can find all the updates for each release. 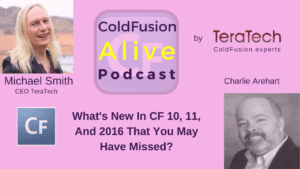 And I'll just tell you that if you just Google ColdFusion updates, I'm pretty sure that one of the first results will be the pages for 10, here's all the updates; 11, here’s all the updates; for 2016, here's all the updates. And if you look at them at each one, you'll find that not for every update but for several of the updates of each release. You know a great majority of them. They'll be doing a hundred bug fixes or more and people sometimes lament that you know, Adobe is dragging their feet on bugs and there's bugs have been there for years. And I grant all that. I know that's true for some situations. But I just I don't want people to miss the fact that say for instance in C.F. 10, there have been at least a few hundred bug fixes. Now of course, some people will use that say well that's because they made such crappy software that's what it means. Now but some of these were old things that were finally being brought forward. They were issues in 9 and now they're fixed in 10 or now 11. They were issues in 10 and they're fixed in 11. And sometimes, they're not like things are being done for 2016 and 11, they won't be back toward the 10. But that's just one more reason to consider moving up to 11 or 2016. So yeah, there is often lots of updates. I mean there have been four for 2016 and 14 I believe or 13 for C.F. 11. And I think 24 for 10 and yeah, whatever release you're on, you want to be on the latest available update and you want to read the tech notes to see what's changed. And sometimes, it's many, many bug fixes; that's what I was getting at. But sometimes, it is new features and that's what I'll be highlighting in the talk is if there are some new feature that was added. Once I'd say about three of each of the release of the updates for each of the past releases and hence here's where it's literally new functionality. And I’ll throw out as well that sometimes they also pull functionality. So just recently, one of the updates or no, it was the new installer for C.F. 2016 in December 2016. They came out with the new installer and it already preconfigured to have update three in it so you don't have to worry about applying updates one and two. It just came with three. But in that installer that came out on 2016; December 2016 the end of the year they removed some java script libraries used for the U.I. features. Now on lot of people who are those who are features. You know, the calendar, windows and the tabs and things like that. And some people are going to go, what, what! They're getting rid of that? Well, they did say and I'll talk about this too they did say that in 2016 they were deprecating some of those things that some people have complained for years nobody should be using. But you know pragmatically, lots of people use them. Well, Adobe did say when 2016 came out and I've got a whole blog post just Google ColdFusion 2016 deprecated features. They'll find Adobe stuff and my stuff and they talk about this. But curiously in December, they came out with this new installer and they literally yanked out the Y U I; Yahoo U.I. library spry in the port libraries but hardly anybody used those. But they literally yanked out the Y.U.I. libraries which would be to some people's delight to see that's finally happening. But if you're somebody who's got code that's relying on them, you'd be like what, my stuff’s broken. Well the good news is look at the techno that came out with that update or the blog post that came out at the time from Adobe. They do offer you a link to get those libraries and add them back. Some of you rely on that Y U I library. You can put it back. It's a curious approach, it's deprecated and then kind of forcefully obsoleted but then, you can put it back. It’s the first time I've ever seen something like that. I almost wonder if it's a licensing issue where they weren't allowed to include it but you're allowed to go get it. Maybe, I don't know. But that's just another facet of how during the life of a given release sometimes things do change usually it's about updates this was one that was during the actual implementation of a new installer. So yeah, you can see there's a lot. And that leads then into the compatibility issues. Let me just throw out a couple key things that just to highlight because again we're not doing the whole talk in this presentation, this podcast interview. But one of the big gotchas when people move to 11 and it would help you if you move to 2016 is charting. And I'm sure some people are going oh yeah, we had a heck of time with the charting. So, the charting engine was changed in 10 and earlier, it had been web charge three D. and in 11 and above it's… Oh, it slipped my mind, Green point. Anyway’ I’ll have it in the presentation. But the point is it's all hidden from us. We don't need to know. It's just new and Adobe tries to make things backwards compatible. But unfortunately, they kind of missed the boat on some charting issues. Now, let me say too that there were issues that were fixed in bug fix. So sometimes people; I work with a lot of people where they're running with the original installed version and they never do the updates and they're complaining that things don't work. And Adobe fixed it in an update and you just haven't applied that update. And the converse of course if you go to 2106, you get in 2016 everything that was fixed at the time that it came out in 2011 so, let's C.F. 11. So it's always worth going to the later releases but there are also off often compatibility issues. I'll highlight some of the key ones that was of a couple. And there's some ways to get around some of them and there are some things specific to that one. So you know, again we’ll talk more about that later. If you look into it now you of course trip over to find out more about it on your own. Michael: And it looks like that they changed the zing charts. Charlie: Yeah, that's it, zing charts right. So, it went from web chart 3 to zing charts. So, that's a good thing. One of the things about it is that zing charts does all its configuration based on 32:09 [inaudible]. And the previous one did all that stuff based on X.M.L. So in the release they came out with and it might be ten or like it. I can’t remember right now. But they came out with like an X.M.L. to 32:23 [inaudible] file or SH file for those on Linux and you were able to convert the X.M.L. files to the … that was needed by the new tools. So you know, but people don't read the docs right they just try to run their code if it doesn't work and they start Goggling. And just be aware sometimes when you Google stuff you're going to find answers from people that maybe are referring to something from years ago or their experience is really rather limited and they're not giving you the complete answer. So you might miss that there was this tool to do this conversion and that that might have been a simple answer to the problem that you're having. So again, I'll talk about lots of different… Not lots but, I'll talk about that the key different compatibility issues that I've seen as people have made the migrations. Michael: I just want to pick up on the bug fixes part because I don’t know, some people might get ups that bugs fixed and they're listed in the release notes. I think that's actually a good thing now they publicly saying what bugs being fixed. So, if you are having trouble with it you know, you can know that cause of the problem is being fixed. And also I just want to appreciate Adobe for having a public bug database because that didn't turn up until about ten years ago. When I install the people 33:39 [crosstalk] like a pressure to them. Charlie: Yeah and they used to be called Bug based on adobe.com. And now it's called Tracker and it's only improved. It's still not great they're like I just can't believe how painful it is to search because it's got all these fields and you can't like just say find this particular word in any of those fields. It doesn't work that way. So, it’s sometimes painful to find stuff and then you know, there are some things that have languished. But there's also things that get fixed. I mean let me just throw out for some people's interest that. For instance one of the updates recently the latest updates for C F. updates for 2016 and 11 broke a feature where you could have a calendar pop up. Some people used it as just see if input type equals date field and some people used it inside a C.F. calendar. But that thing started breaking after the latest two updates of the two versions on certain browsers. And shortly after that, a bug fix came out and it's available. And in fact, I just blogged about it today because I'd had another client run into it and I don't get it too often so I hadn't really thought about blogging it. But after two people brought it up I thought hey, put it out because you may not go digging through the blog, through the bug tracker. But that's Michael's point is you ought to at least try the bug tracker, look at a tracker just Google overusing bug tracker you'll find it. And look for whatever you're dealing with because you might find that there is a bug fix and of course, Adobe will roll that fix into the next update. But until then, we don't know when the next update will be, you could maybe get a quick fix in place. And that's what I talk about in that blog post today. Michael: Well and I mean I highly recommend people apply the update as when they come out not everyone does that. Charlie: No and some people are reluctant to because they've seen for instance like this. Here's an example where a feature got lost and it wasn't intentional. So, some people will go yeah, we're going to let other people be the bleeding edge experience you know, what goes on and so we'll wait. So I understand that approach you know each has its value. Other people go well we need any security updates that are incorporated. We need them immediately. And so you can always look at the tech notes about the updates and if they have security fixes. That might prompt you to get it done sooner. And Oracle solved that problem in a way that I know 36:08 [inaudible] has pleaded with Adobe to consider where they come out with one update that has just the security fixes in it. And if that's all you want, you apply that. And then they have another update that is one number above it. You see it often when you go looking at the Java downloads. You sometimes see on a single download page two versions if you like what's up with that? They’re one number apart and the difference is the lower number is just the security updates and then the higher number is security updates plus bug fixes and maybe future changes and things like that. And then people can say well, we want the security ones. Adobe hasn't yet done that. But I will say that what they do sometimes do is if you look at the tech notes, you’ll find hey, this update just as security stuff in it. But it's not like they're intentionally splitting them that way and of course something could come along one day where they've got a bunch of improvements in them is a big security thing that has to be slipped in. And so all the sudden it's going to be both security features and bug fixes and updates. So you know, that's it. That could be done better but like you said for most people, it's generally a good idea to just apply the update and they're easy done do and that's just so that out because I mentioned that in the talk about one of the major new features in C.F. 10 was it at least it is now easy to apply updates. It's a single click that generally works well. For some people doesn't work well and I've got a whole blog post on if it doesn't work well because there's reasons why that can happen. But my point is you could try it and if something doesn't work out because of the compatibility issue or whatever, you can easily uninstall the update. It's as easy to uninstall them as it is to install them. And for most people, it's just a two minute job and a restart of the instance. And if it ever goes wrong, check out my blog post. 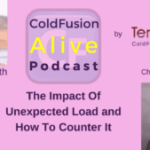 Just Google for ColdFusion update, problems and you should find my blog post about that or reach out to me and I'll help you because when they don't work right, you can think, oh goodness! C.F. is toast. I've got to reinstall. No, it's not that you need to reinstall. It's just that you need to usually just stop C.F. and apply the update mainly. A lot of people don't know how to apply updates manual but I talk about that in the blog post. And it's just another couple minutes and you're done. So, you can safely apply and even uninstall updates and so on. There's lots of stuff to learn about this stuff. I understand that some people just don't do this stuff for their living and they just want to be programming or just supporting their users and not even changing anything and they don't want to learn how to do troubleshooting. So that's why I and you guys and other folks out there do troubleshooting for a living because it's not everybody's cup of tea and we can focus on it and try to get in, solve your problem, get out; that's what I do. Michael: Yeah, I know it's a great thing you do and I think it's important because if you don't… I mean you focus a lot of your time on solving these problems and it means you're far more likely to have seen a similar problem before. Michael: And even if you haven't seen the exact problem before, you know ways to diagnose what's going on and figure it out whereas. Charlie: Yeah, it’s amazing. You know once in a while, have somebody present a problem and I go you know I've never seen that one before. But if you want to you know spend fifteen minutes to half an hour looking at it together. I often can solve it because I just have a problem solving perspective in certain diagnostics. And also, just years of experience of knowing what should be going on when things don't work right. I can usually take that as evidence and connect the dots in a way that maybe somebody couldn't; even if I've never seen it before. But you're right you know, when we see these things over and over it becomes very simple. I mean I have people who tell me that sometimes they've been spending days or weeks trying to solve a problem before they learned that I could be available to help them. And I fixed it in half an hour and they're just like, I can't believe it took us a whole week to try. But it's just because that's all I do all day and then I try to share it. I put a lot of the stuff out in blog posts or conference presentations but sometimes, I'm just too busy and I don't get a chance to so. The good news though is that leverage it and quickly solving a problem. So, I can often fix some problems in less than half an hour and I don't have any minimum and I have a satisfaction guarantee. So looking forward help anybody if you've got any problems, that's what I do from this chair. Michael: Yes there we go right from the heartland of Kent. Charlie: And again, let me say there are others. Michael and his company does it, 40:46 [Mark Krueger] and his company does it, Pat Quinn and the folks at C-fusion web apper, they do it. And in fact I've Micron. I mean I could go on several folks. So, I don't want this to sound like a sales pitch for me. And on my CF411.com site which we talked about in the last interview, if you go to CF411.com/CFconsult; C F C O N C U L T consult C.F. consult. I have a list of the about seven or eight, nine people and companies that do this sort of troubleshooting. And then I got another list of people to do development. Like 41:21 [inaudible] also does develop and I don't but some of these companies do troubleshooting also do development. So you know, check that out. Michael: I'll put those in the show notes too. We will have a complete index of your site if we keep on talking. Charlie: I just went to the big list and you’ll see. But yes, that's enough that is a good taste of what the presentation is going to be about. Michael: Fabulous well, you'll be flying out to D.C. for C.F. objective in a few days. Anything… driving, right. Michael: Wow! I never knew that. Charlie: … let you know if we have. No that's our home. We grew up there and we go back to see family, holidays and stuff. So we're comfortable with that drive. And it just gives us flexibility and we're going to be bringing some stuff back so that's why we're driving this time. Michael: Yeah, well that it is Peru today it could be the United Kingdom next month or Thailand or wherever I happen to be in the world. Charlie: Excellent, you know it’s awfully cold down there in Peru right now. Charlie: It will be warm soon I'm sure. Michael: Yeah, it will warm up a bit. But I’m going to Europe in a month's time so, it will be warmer there. Charlie: Be nice 42:36 [inaudible] then. Michael: The ideal virtual travel schedule is you arrange to have summer in the north and vice versa. So you never have the winter but I’m quite. Michael: Oh man! You got the double winter? Charlie: Yeah and then I came back in July of ninety six. And so, I had again missed out on much of summer and spring and I'd gone through winter there. So yeah, I agree with you in time. Charlie: I was drenched so. Michael: Yeah, I don't think people walk there. Charlie: Although, I've also gone during nicer times of the year and it's beautiful to walk around. And I'm sure some people are thinking, what, the Middle East! Are you crazy? And you know it's lovely, it's a lovely city. Doha, Qatar; it's beautiful. If you Google it and if you guys are interested. Google, Doha click on the images button in Google and the pictures; The city is amazing, it's very modern and the people are lovely and it's a great place to go if you've never been to the Middle East and Dubai and Abu Dhabi close by. And those are the very modern also places where you can find all the biggest stuff in the world. The highest stuff in the world. Charlie: Yeah right, all that 44:50 [inaudible]. Michael: I was in Dubai and they have the shopping mall and they have an indoor ski slope in the middle of this heat. And they had an aquarium that was so big, it was like more than a hundred feet across and forty feet tall. They had life sharks swimming around and they had people scuba diving in the aquarium. So, it's quite a sight. Charlie: That's very nice. I did sometimes too. My wife and I got to do that last time we were there last year and we did both of those things. So, I know exactly what you’re talking about. So, I recommend it. Michael: And the other thing you know, I just go off on this travel thing because I have a kind of little goal to visit every country on the planet. But I haven’t. I don’t think I 45:37 [inaudible] country fifty five at this point. But if you're flying like an airline, if they go through a city. Like Emirates obviously goes you know it's the United Arab Emirates Airline. So it always stops in Dubai no matter where you're going to typically. Michael: And that you can basically get a free stop over. You know maybe it's fifty bucks if you stay. Michael: And that's a great way to visit new countries. Charlie: Sure and do they offer anything to help you specifically because I'll just say that I know in Doha which again is the capital of Qatar which is they're both just on the other side of the peninsula in Saudi Arabia. Then Doha their stopover, they've stayed in city have put together an official kind of a thing where if you've got like a four hour stopover, they've got buses ready to take you out on a tour and go to the markets and to see the museum. And they really want to intentionally help you get out and enjoy briefly for a low cost, an opportunity to travel around in the city. So yeah, I definitely recommend that. Michael: Yeah, a lot of places have that and if you go to the Apple website often you can find a link to find that kind of thing. I know when I was in Seoul in South Korea and they had like the same kind of thing. If you've only had a few as they could whisk you into Seoul. You could see all the cool stuff and come back. Charlie: And of course, we want to recommend that people take advantage of if they're coming to C.F. objective later this week when you're in D.C., there's so much to see. And it's been great to see the organizing committee. They've been tweeting; if you haven't been seeing it. They've been tweeting about lots of great ideas of things to do and see while you're there. And we talked about this our last interview. There's so much in D.C. It's free and close it's walking distance. So hopefully, everybody will get out and take full advantage of that. Michael: And for the people who can make it physically, there's also C.F. week coming up real soon. I 47:40 [crosstalk] next week. Charlie: I think they announced it like that and then they corrected it. I think it's more in August but check out blog cold fusion.com it was released a blog post. Michael: That's a free educational thing Adobe provided. So, anyone can go to that. Michael: Yes, unexpected loads. Yes they're going to get out it. Charlie: Maybe also throughout I'll be at the integral booth for fusion reactor. So folks who come and come by and see the fusion reactor booth. I'll be watching out for them because there weren’t unable to make it this time. But I’ll have their stuff there and answer questions and show off fusion reactor over there. Michael: Yeah and I think cold fusion community owes the thanks to fusion reactor because they sponsor basically all the different conferences. It’s like half a dozen conferences this year on ColdFusion. I'm pretty sure they'll sponsor every single one. Charlie: Great guys, they're just really great guys and that's why I've been working with them since fusion reactor came out in 2006, 2005 and think it's been started. But from the first time I interact with them, they were just wonderful guys and I've really enjoyed working with them. And again, other mentors in the community. I don't mean to denigrate anybody else. They're all good people but I just felt a really strong relationship with them. And I don't work for them but I do work with them and it's really just because I love their products and how they do things. Yeah, I definitely recommend people check those. Michael: Great! Well, thanks again Charlie. Charlie: Thank you for doing what you do sir. Michael: Will we see you there? Not this time 49:32 [inaudible]. Michael: I was into the box you know. Charlie: Right, right, right, sure. 49:39 [inaudible] next time. Thanks again for what you’re doing.